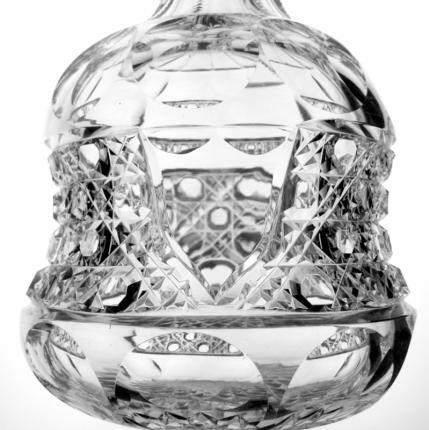 This carafe is cut in Dorflinger’s Montrose design. 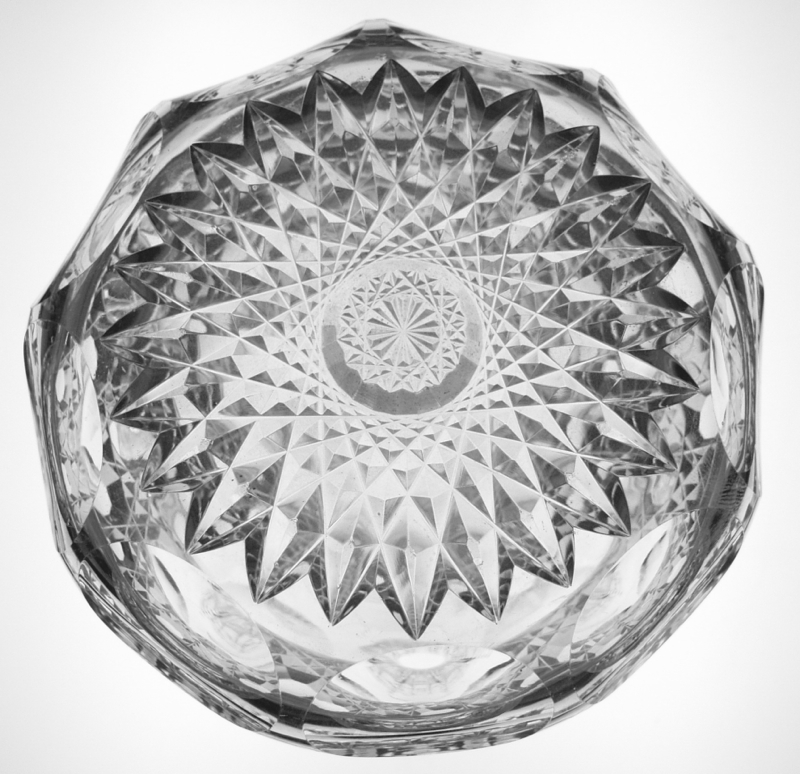 I believe this blank shape was exclusive to Dorflinger and they also cut a handled decanter in a similar shape. 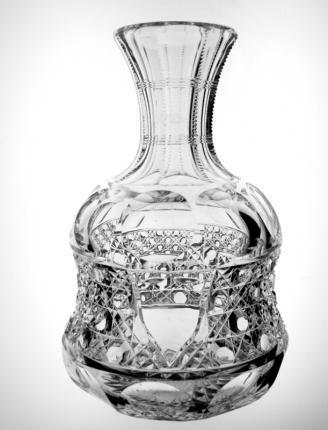 Attached is a photo of that decanter in Montrose in the same horizontal arrangement as this carafe. 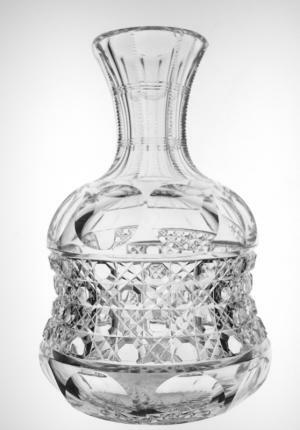 What’s particularly remarkable about this carafe is that Dorflinger left an open area in the cane cutting for a monogram. A top and bottom row of punties fit the non-cinched portion of this carafe. The punties create stunning lens-like optics. In between each row of punties is a band of clear cane. The cane is very deeply and precisely cut. The neck is fluted and notched and the base is covered with a 24-point hobstar. The entire piece is cut on a wonderfully clear Dorflinger blank and is radiantly wood-wheel polished. The carafe measures and is in perfect condition.